The Philosophy Department inaugurated a PhD program in the Fall of 1990, in preparation for the increased demand for university and college professors. The PhD program complements an active MA program, which has been in place since 1968, and an expanding undergraduate program. The program is designed to address a felt need in the profession of philosophy for scholars able to transcend the confines of a specialty. In their research, members of the department address major issues of both analytic and Continental philosophy as well as scholarly issues concerning major figures of the history of philosophy. This philosophical pluralism is coupled with a unique spirit of cooperation throughout the faculty. The course of study of graduate students is designed to take advantage of this breadth and attitude of cooperation. Each student receives a thorough grounding in the history of philosophy and familiarity with both the contemporary analytic and Continental traditions, in order to achieve an understanding of the place of their areas of research within the several basic areas and methodologies of philosophy and the historical tradition on which they are based. Specializations are available, supported in each case by several members of the department, in most areas of analytic and Continental philosophy and the history of philosophy, as well as on topics and issues that cross traditional boundaries. Seminars are small, and students receive individual attention, often from several members of the department with overlapping research interests. The atmosphere in the department is congenial. There are many informal opportunities for ongoing philosophical discussion among students and faculty away from the classroom. The PhD program is structured to provide a broad background in the history of philosophy and in the different contemporary methodologies, and then to proceed to the specialization requisite for the dissertation. It is designed to avoid a premature and overly narrow specialization and to ensure a competence in the basic fields of philosophy as a foundation for subsequent concentration in one or more areas of continental philosophy, analytic philosophy or the history of philosophy. Graduates will thus be prepared to teach not only their specialty, but also a wide variety of basic courses, and will be prepared to function effectively as teachers and colleagues even in departments in which the main focus is in a tradition or methodology different from their own concentration. They will also be able to apply their expertise to areas of endeavor outside academia, such as law, publishing, medicine, computer design, theology, and secondary education. 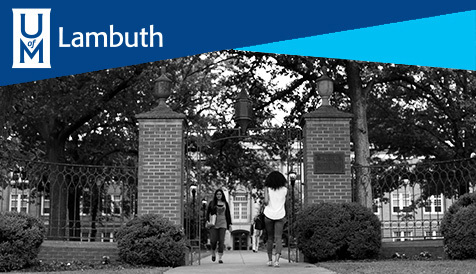 Students whose objective is a PhD in philosophy at the University of Memphis and who satisfy the admission requirements should apply directly to the PhD program. Applicants not admitted to the PhD program because of lack of space will be considered for the MA program if they indicate their desire to be so considered by marking MA/PhD on their application and letter of recommendation forms. (Students in the MA program may apply for admission to the PhD program).